Avalon University School of medicine (AUSOM) | Updated 2018. Avalon University School of Medicine (AUSOM) rests on the beautiful and unique Caribbean island of Curacao, just off the coast of Venezuela. The university was established in 2003, and has since then, been producing not only competent and highly professional physicians, but also graduates who are committed to patient safety and public health and ethics. The university’s revolutionary approach focuses on both the academic and personal development of the students, thus preparing them to take on any situation in life. The university also has an accomplished and celebrated academic and administration staff to cater to the needs of all those willing to learn. 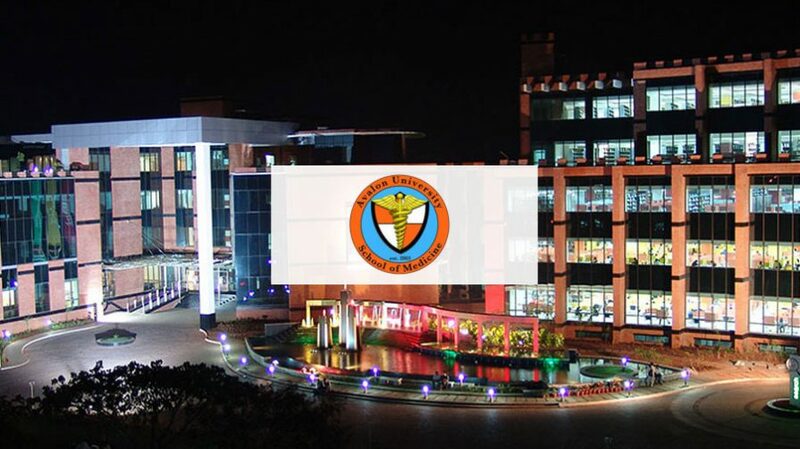 Why Choose Avalon University School of Medicine (AUSOM)? Avalon University combines an excellent academic environment with a very affordable and economic fees structure. The university produces graduates that are spread all over the world and have shown true potential and skill. It all starts with the easy to follow and effective admission process. AUSOM accepts applications throughout the year and classifies them according to the upcoming semester. Students, of course, are only admitted in January, May and September. The admission process is very simple and consists of three stages; the application form, the interview and then the deferral of admission. The applications are accepted in two ways; the online application form and the offline, more traditional application form. The online form takes approximately twenty minutes to fill and submit. The more conventional way, is downloading the form, printing it and filling it, and then mailing it to the university. The latter gives the pleasure using paper and pen to seal your application and throws light on Avalon’s approach to uphold tradition. Background in Humanities or Social Sciences – One semester Humanities include philosophy, literature, religion, art, music, history and language. Social sciences include Political Science, Education, Human Geography, Demography, Psychology or Behavioral Sciences, Medical Ethics, Sociology, Anthropology, Archaeology, Jurisprudence, History, and Linguistics. Even after the amazing fees structure and academic standards, Avalon has a lot to offer. The U.S based medical curriculum allows graduates to compete fiercely with other candidates, even for residency. Avalon offers clinical rotations at exceptional teaching hospitals with very little time between rotations. It also offers Problem Based Learning and Evidence Based Medicine, both of which are necessary to move in today’s futuristic world of Medicine. Classes are taught in English by renowned professors and student to teacher ratio is 10:1, making it easier for teachers to focus on individual students and personalized learning. Avalon also has developed fully equipped Microbiology, Physiology, Biochemistry and Histopathology labs on campus. The anatomy lab includes cadavers and plastinated organs which further enhance the educational experience. These on-campus located facilities allow students to easily access knowledge and combine it with experience in a controlled environment. This process allows growth of a student’s ability to perform not only on paper, but also in real life. The university also has an extraordinary staff for teaching. Teachers having M.Ds and P.H.Ds are available to enhance the learning experiences of the students. Professors hailing from all branches of Medicine are associated with the university. The administration staff helps the students in settling down and is also available if any further problems arise. They offer support for housing and accommodation services. The staff is also responsible for the safety of the students. The new incoming students are also picked up from the airport to make it easier for them to reach the campus. The administration is also responsible for keeping discipline in the campus. The staff is key to personal growth of the students and development of soft skills in life. The campus also houses an amazing library and Wi-Fi access all over the campus. This library is extensively equipped for the learning of the students. The extra information that one may require or the topics one wants to study other than those in class. Students, once enrolled, become part of the diverse environment of not only the university but also of the rich heritage of the island. The different language and food allow the students to gain the full experience of the place. But sometimes one cannot really focus in class. Or, due to unforeseen circumstances, one loses time or place in class. In university, unlike high school, students have must study be on time and learn. They must be careful and responsible in both managing study time and leisure time, as both are important for a healthy student life. But, as mentioned before, sometimes, one cannot control certain situations, and one can fall behind in class. Such, sudden situations, can prove disastrous for a student’s academic life. After getting into such a prestigious institution, and not being able to keep up will bring a person down significantly. It is at these times, that one can find another place to catch up from. A place seen by many as a savior in certain circumstances. So, when life strikes in an unpleasant way, one should not lose hope and look for other ways. One such way, is through Dr. Najeeb’s medical lectures. These lectures are popular all over the world and are trusted by 80% of Medical, Dentistry, Nursing & Pharmacy students. Dr. Najeeb has been teaching medical sciences for over 26 years and has helped millions of students master Medical Sciences with crystal clear concepts. Don’t forget “Lasting Knowledge results from clear concepts”. The video library consists of over 800 videos on topics ranging from Gross Anatomy, Neuroanatomy, Embryology, Histology, Physiology, Biochemistry, Genetics, Pharmacology, Microbiology, Immunology and Pathology. Such, amazing online lectures, can really turn the tide in one’s favor, no matter the circumstances. These lectures can be used in different ways, to catch up on missed class. To revise for an exam. To revise concepts you have not studied for years. The illustrations and vocabulary used in the videos is easily understood and related to. The whole world is using these lectures, and now so can you (Click here), to get that extra edge, and perform extraordinarily, just like you were meant too!